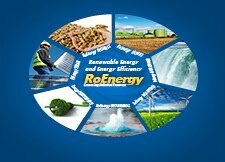 The official launching event of the Green Industry Innovation Programme Romania will be held on 12 March 2013. The event will provide potential Romanian applicants and potential Norwegian partners with relevant information related to the Programme‘s focus, operation, eligibility, application process and more. The Norway Grants Green Industry Innovation Programme Romania is a business development programme meant to contribute to increase the competitiveness of green enterprises, support the “greening” of new and existing enterprises and stimulate green entrepreneurship and environmental innovation. From 09.00 a.m, in Bucharest, at Marshal Garden Hotel, Panoramic Conference Room, 5th Floor on Calea Dorobantilor 50B, Sector 1. Potential applicant and partners are invited to registration for participation in the launching event free of charge. Registration is accepted until 6 March 2013 and 1 representative per entity is recommended due to limited room capacity. The total available amount for co-financing of project applications is EUR 21,623,200. The target group for Individual Projects are private enterprises legally established in Romania. The target group for the Small Grant Scheme are private enterprises and NGOs legally established in Romania aiming to facilitate eco-innovative business development in less developed areas in Romania. Only Romanian entities (as specified above) are eligible applicants. However, partnership projects with a Norwegian partner are very much encouraged. Any entity (legally established in Norway) could be a partner. All relevant documents for potential applicants and their partners will be posted on the dedicated programme web-site www.norwaygrants-greeninnovation.no on the 12 March 2013. The Programme language is English.